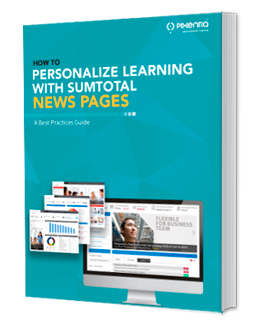 SumTotal Learn offers many options for personalizing the user experience. One of the most powerful features is the customizable news content area. It is a basic HTML page that is a blank slate for you to provide personalized content for users, based on their organization, domain, and active user mode. Using some simple game mechanics, you can turn a space designed for static news into an interactive training dashboard. Authoring a basic HTML page requires only a text editor and some fundamental HTML knowledge. Even with limited HTML, you can quickly deploy a better user experience. You can add hyperlinks to external Web sites, embed email addresses, and link to documentation or learning activities in the LMS or online. If you are experienced in using a word processor to format headings, bullets, and hyperlinks, you will find the basic HTML for setting up a simple news page not hard to learn. We recommend the tutorials provided free by W3Schools. It won’t be long until you are trying new things to make the page more attractive and engaging. 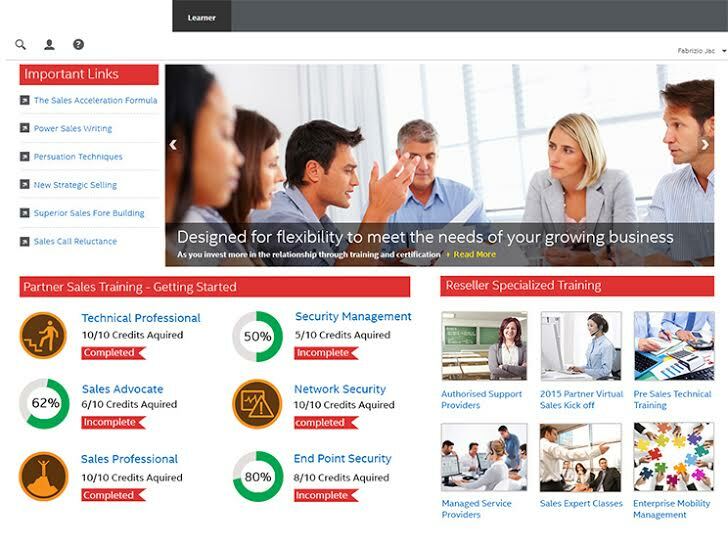 Using SumTotal news page features, advanced configuration options, and some advanced HTML you can create a highly customizable, intuitive, and interactive training dashboard. One of the learning design techniques gaining interest over the past couple of years is gamification. It is not games – it is the use of game mechanics to engage users in their activities and change behaviors. One of the most powerful techniques is the progress bar. If you shop online, you have probably noticed how there is a bar on the page that shows where you are in the purchase process and how far you have to go. Years of tracking consumer behavior proved beyond any doubt that progress bars motivate buyers to complete the purchase. The same principles apply to training., Using progress bars causes learners to move through the process more quickly and increases completion rates. For non-linear learning activities, we can improve learning retention and completion rates by grouping activities into sections and awarding digital badges for completing each section. For progressive learning programs, users can be awarded achievement levels for each successive step in the program. Achievement levels create an enhanced sense of accomplishment and motivate learners to try harder to achieve the next level. You can add various links to information resources for your learning programs. These can be web pages, documents, videos, or audio files. A rotating news banner captures attention to market your company news and new learning programs. The look and feel of the user interface (UI) influences learner’s enthusiasm for learning and the organization. SumTotal Learn provides the ability to upload your own skins and logos to provide users with a branded experience. We hope these ideas have made you aware of some of the things you can do to motivate learners and make SumTotal Learn your own. The SumTotal Administrator Guide provides basic guidance for managing news pages. To create customization, you will need knowledge of HTML. If you are not a skilled HTML user, you can enlist the help of your IT group or contact us or learn HTML free at W3Schools.